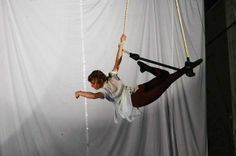 Crista Marie Jackson is a physical performance professional and aerial circus performer who is a seminal member of Circus Warehouse and a proud graduate of our initial Intensive Pro-Program. 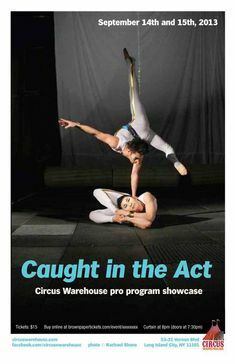 Her first professional jobs after graduation were as an acrobatic aerial soloist in the Blue Horizons Dolphin Show at Cirque de la Mer at SeaWorld, San Diego. 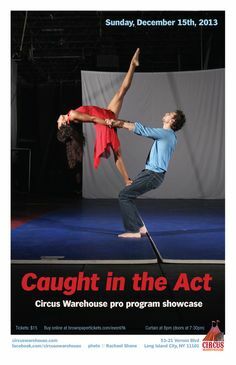 Since then her work has been featured in major motion pictures, off-broadway houses, national and international tours, corporate venues, and theme parks. She has performed alongside Tony and Obie award winning actors at the New York Theater Workshop, and has worked with the elite Hybrid Movement Company as a part of NYC’s Summer Stage. 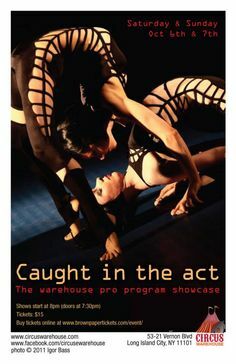 She is currently back at the Warehouse training hand to hand with Mark Ferrando under CW’s own Ken Berkeley, while continuing her acting/circus career both on stage and screen. Former Intensive student, William da Silva, multitasks.